Simply add your choice of roping heads to this collapsible dummy for an entertaining roping session. Made from powder coated steel tubing, this dummy is weather proof and includes three metal stakes to secure him to the ground if you desire. Hinged hind legs give you a more realistic feel when heeling. The unique design of this model allows it to fold down completely flat for easy storage. You can even pack it up in the trailer and take it on the rodeo road with you for a great way to occupy the time between your runs. 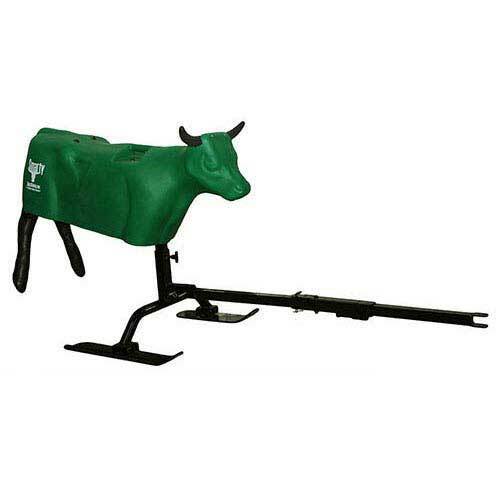 Click here for our full roping machine and dummy selection to select a roping head to use on your dummy!